Office organizer with magnetic back. 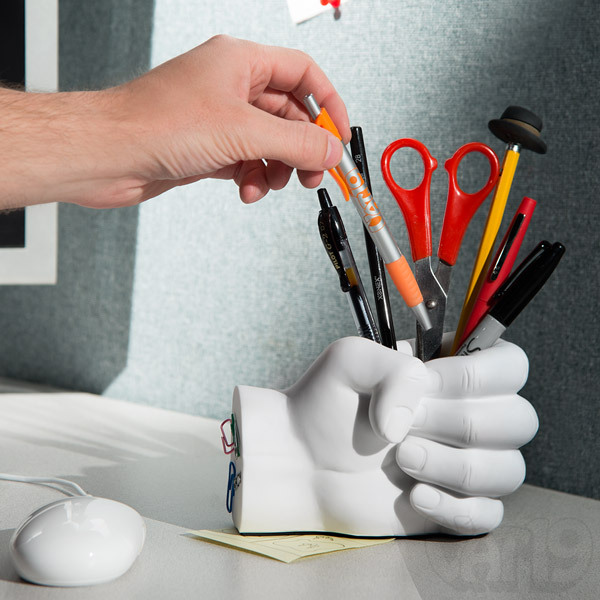 Rule your desk with an iron fist using the Hand Pen Holder. 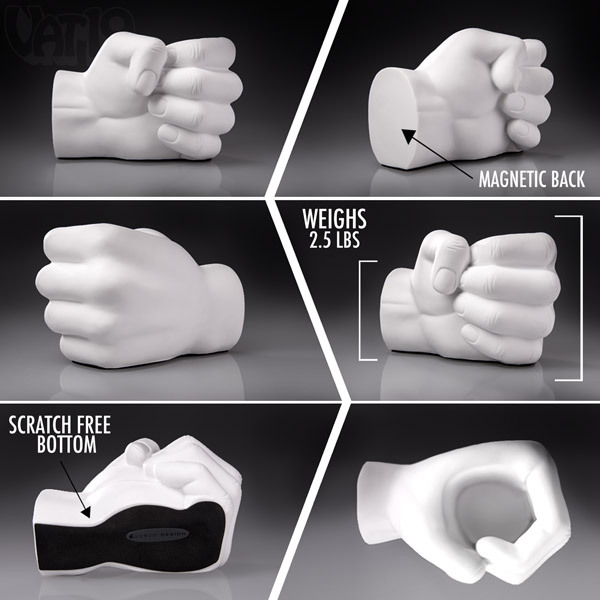 This sturdy sculpture will corral your pens, pencils, scissors, and even your paperclips thanks to its magnetic wrist. Weighing in at 2.5 lbs (1.13 kg), the Hand Pen Holder also doubles as an effective paperweight. A rubber bottom prevents scratches to your tabletops. Dimensions: 6" x 4.5" x 4"
Can we lend your desk a hand? 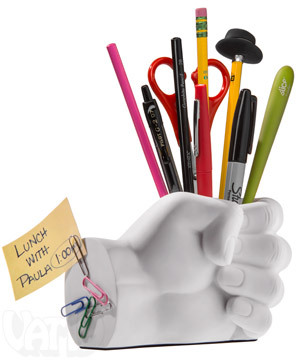 Reduce your desktop clutter with the Hand Pen Holder. Load up this left hand workhorse with your Vat19 pens, pencils with Eraser Hats, Woodless Graphite Pencils, and since we don't sell scissors, whatever scissors you've got. Lighten up the mood on your desk with the Hand Pen Holder. Magnetic back and a scratch-free bottom! Thanks to its magnetic back, the Hand Pen Holder can hold more than a fistful of pens, pencils, scissors, and highlighters. You can also store a bundle of paperclips or pushpins on its magnetic wrist. That's one good lookin' hand. The hefty two-and-a-half pound Hand Pen Holder also doubles as a paperweight. 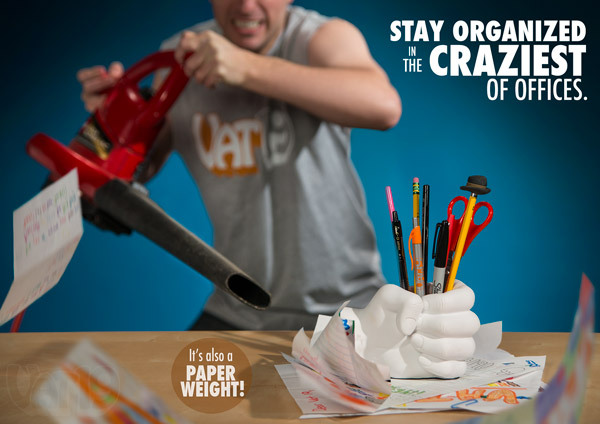 Restrain unruly papers with the heavy hand of the Hand Pen Holder.